Mothercare* has issued a recall notice for it's Hyde Crib due to a risk of injury. The risk comes from "a safety issue of the base detaching from the frame" and it affects certain batch numbers only. Batches affected are dated from January 2017 to November 2017, and the batch number can be found on the crib base. 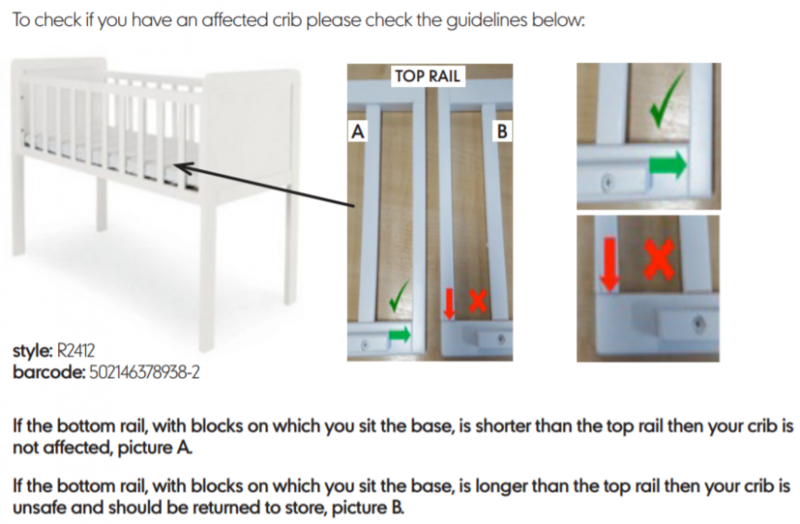 If your crib is one of those affected you should stop using it and return it to a Mothercare store for a full refund. You can read this recall notice in full on the Mothercare website here*.